The Sokkia GCX2 is a dual frequency GNSS receiver which delivers RTK (Real Time Kinematic) centimeter level performance in an innovative form. The GCX2 exemplifies a completely reimagined approach to receiver design that offers an ultra-lightweight and ergonomic solution at a low cost. Providing flexibility in a variety of ways for static or RTK data collection, the GCX2 easily adapts for nearly any application. A pair of GCX2 receivers can be used as a base and rover using interference-free data communication. Additionally, when combined with a cellular-enabled controller, the GCX2 is an ideal precision network rover. The GCX2 offers affordable high-quality results for traditional applications in the surveying and construction fields; as well as unconventional utilizations such as in landscape architecture, GIS, BIM and forensic mapping. The unique innovative antenna design creates a lightweight ergonomic solution. 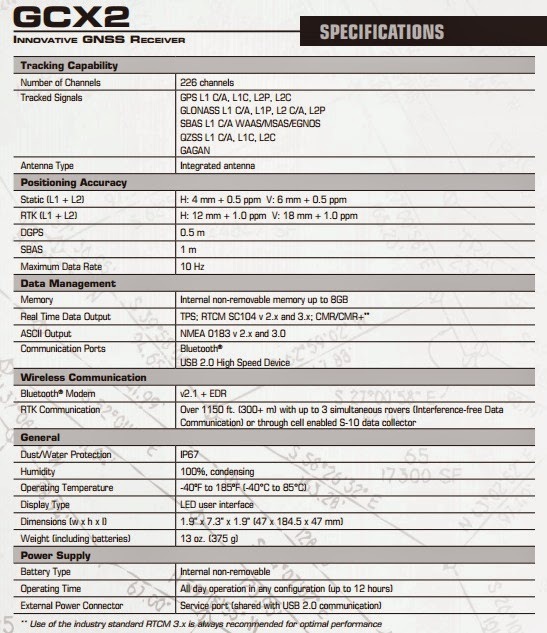 Open the GCX2 case and discover this “bullet”-proof GNSS solution. 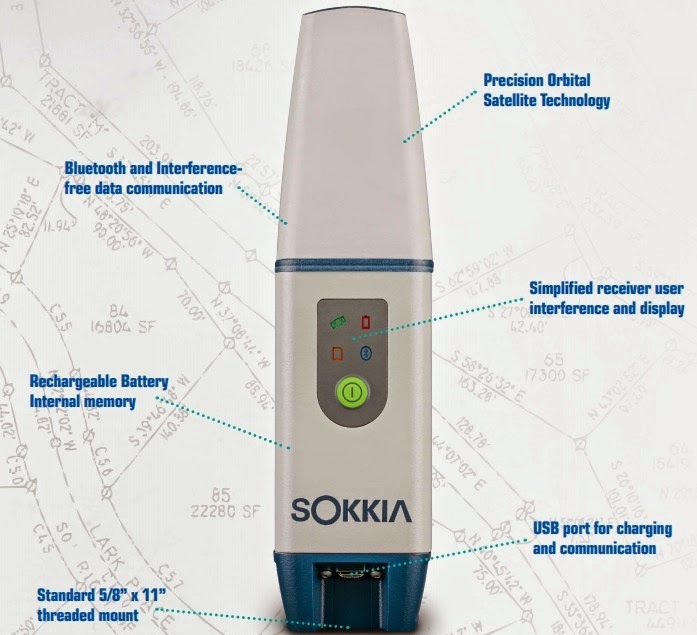 The Sokkia S-10 data collector is an economical, entry-level controller that is packed with features. Outfit the unit with the powerful MAGNET® Field software, and you instantly have the ability to drive Sokkia GNSS instruments wirelessly. Weighing only 9.6 oz. 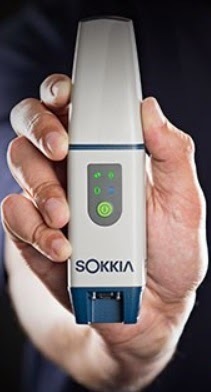 (375 g), it is easily the lightest data collector in the Sokkia product lineup and so small it could even fit in your pocket for that walk back to the truck. The GCX2 is built with leading edge technology to bring you the best GNSS RTK and static data collection with a high level of performance. With its interference-free data communication, the GCX2 eliminates licensing or interference issues. When used as a base, it may support up to three concurrent GCX2 rovers at a range of up to 1150 ft. (300+ m). The new Sokkia POST™ antenna design gives the GCX2 its innovative and ergonomic shape along with top performance. The unique “bullet” shape appears as a small extension of the range pole - almost as if it’s not even there. Open the GCX2 box and you are ready to go. Collecting data has never been so easy with a simplified user display and such portable and straight forward receiver. TopNETlive is a subscription based, real-time GNSS Reference Network delivering high quality, GNSS correction data to rovers used for surveying, construction, GIS mapping, and agricultural applications. TopNETline is the fastest growing RTK worldwide network. Visit www.topnetlive.com to view network coverage maps and join TopNETlive. GCX2 with the Sokkia S-10 field collector running MAGNET® software provides the lightest GNSS RTK rover solution with efficient workflow. MAGNET® software is tailored for use with Sokkia field controllers in both field and office environments. A managers dream of tracking all field and office data in one simple-to-access web interface. Store and exchange your field data in the MAGNET Enterprise cloud. Save the drive time by sending your field and office updates to the cloud rather than driving back to the office. Full CAD functionality with MAGNET Office Site and Topo. Or field data processing with MAGNET Office Tools inside AutoCAD® products, like Civil3D®. The MAGNET Office solution has what you need. Pick the module that fits your needs. Powerful on-board software that covers full functions for surveying and engineering tasks. MAGNET Field handles data collection, stake out, roads and coordinate geometry.